Georgios is an Energy Specialist with an expertise in Part L, building physics and dynamic simulation. His involvement with a wide range of building types and large-scale schemes has given him experience in providing a holistic approach in developing cost-effective strategies, with a focus on fabric performance and energy efficiency. His architectural and engineering background allows him to communicate effectively with architects and designers and provide useful input from early stages of the design process. He has extensive experience in carrying out Part L Compliance calculations for residential and commercial buildings, formulating energy strategies compliant with local and regional policies and requirements and conducting overheating and thermal bridging assessments. 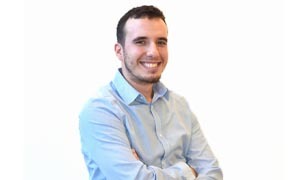 Georgios is a Chartered Engineer with the Engineering Council and also a qualified Low Carbon Consultant and Low Carbon Energy Assessor leading the SBEM and DSM services.